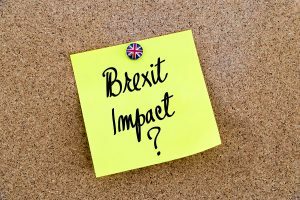 In March 2019 the United Kingdom will leave the European Union in a move which has been met with apprehension from a number of businesses in the country. The negotiations have been ongoing for two years and it now appears, after the cabinet meeting at Chequers, that the government seek to establish an inclusive trade agreement for goods moving between the UK and EU. This has caused controversy within the government from some members and it is unclear whether an agreement can be reached or not. In the event of a successful deal, it is expected that there will be no changes to the current system of importing motor vehicles, including hearses and limousines, to Ireland from the UK. Type approval standards would remain as is, and no new duty, tax or tariffs would be applicable. In the event of a “no deal” Brexit, trade would be subject to WTO tariffs. This would mean an increase in the cost of vehicles, however it is widely expected to be offset by a substantially weakened Pound Sterling. While this would be a less than ideal scenario for us, some effective planning means that we can continue to build quality vehicles for the foreseeable future, whatever Brexit may mean. All of our work is done “in-house” with none of the coachbuilding process sub-contracted to other businesses. This allows us to be independent of the potential struggles of companies involved in the industry. Be it chassis extension, electronics, paintwork or the making of GRP products, our skilled technicians build your vehicle from start to finish. We keep a stock of parts and supplies so that we are able to cope with delays without affecting our output. In the event of a “No-deal Brexit” we have prepared for a potential increase in administrative work by taking on more staff and becoming familiar with the import/export processes for non-EU countries and the EU. We will also ensure that our vehicles continue to be tested and type-approved to EU standards post-Brexit regardless of the outcome of negotiations. As the deadline moves closer we will all be a lot clearer as to what post-Brexit will be like for the industry. And we will endeavour to keep everyone informed between now and then.